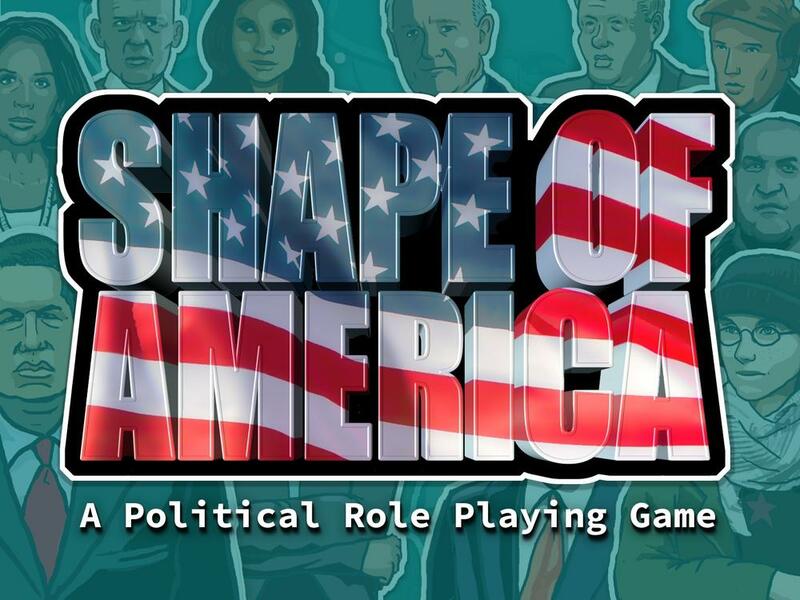 "Politics is a dirty business"
'Shape of America' is a story-driven RPG in which you play the role of an aspiring politician, who gradually climb the social ladder trying to reach the high office. - Real-life calendar (weekly and monthly cycle) - Time is passing by, so if someone wants to you to see you before thanksgiving day, you better be there or you will miss your chance. - Favor system - every character will remember if you have helped him or not. If you want to stop police investigation, try to help chief of police to deal with labor unions and he might help you in return. - Character development - When you are a politician you don't have to know how to shoot guns, much more useful are skills such as boasting, abusing or flattery. -Turn-based combat - confront your opponents in battles of words, use rhetoric devices to prove you are right. - Speeches mechanic - Try to figure out political beliefs of your audience, tell them what they want to hear and gain popularity. - Unique Story - Enter the world threatened by the millennium bug, excited about internet boom and curious about upcoming elections in 2000. Experience the story, about great successes and even greater failures, about corruption, lies and bribery. - Retro art style - Prepare to feel nostalgic about 90s' adventure games, Windows 98 and CRT screens. Enter the world of big politics, meet influential people - help them, deceive them, become one of them.